High Wycombe, 4th May. 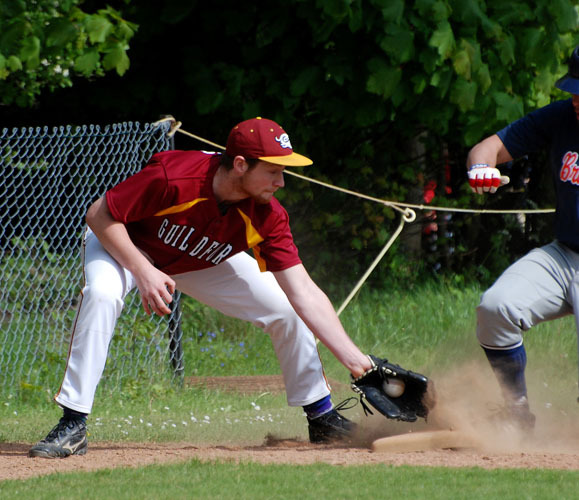 The Mavericks had the unusual distinction of winning a home game away from home, as they split their doubleheader with Bracknell, in two 1 run games, played at Daws Hill, due to the ongoing issues with the council and playing facilities at Guildford. 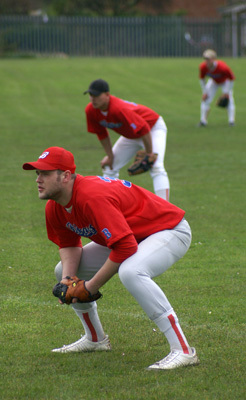 With ongoing issues due to a waterlogged field, still proving very slow to drain after the winter rains, and compounded by the lack of support from the council in maintaining the field or being able to identify anywhere else in the borough, the Mavericks were forced to look elsewhere to stage the game. Fortunately, Chris Deacon and Daws Hill were very kind in offering their great facility to the Mavericks for the day. The Mavericks went with Patrick Matias in game 1, up against Jordan Spice for the Inferno. 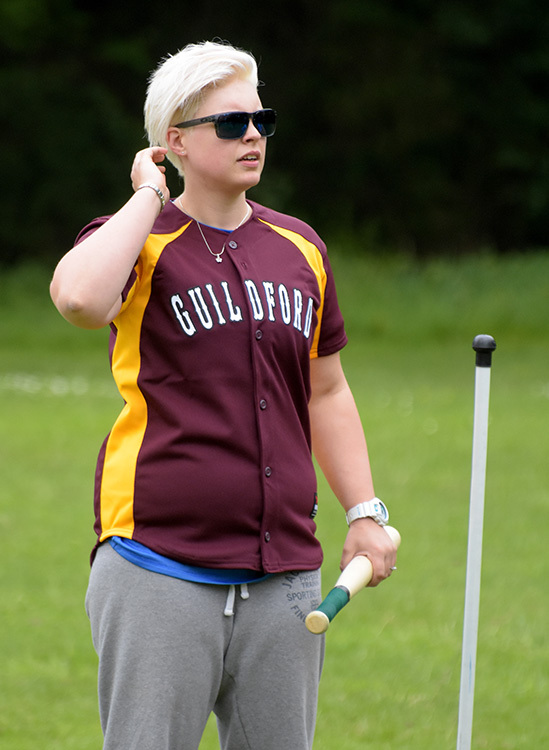 Although Bracknell were the first to put runs on the board, the Guildford soon had them pegged back, and through 4 innings it was tied at 2, as pitchers and defense were on top. The bottom of the 5th saw the Mavericks break it open as 3 runs scored on a double by Jimmy Shaw, and a single from Piotr Tarcynski. 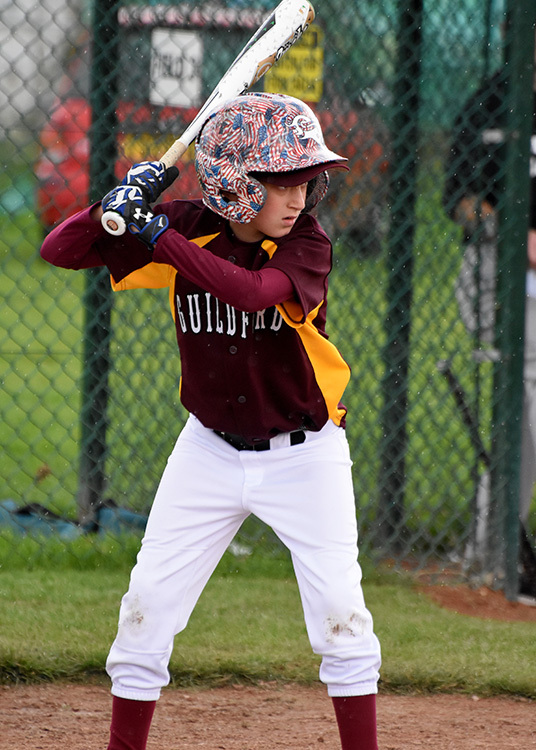 Two more runs in the bottom of the 6th, had appeared to give Guildford a winning margin, but the Inferno weren’t going down without a fight. 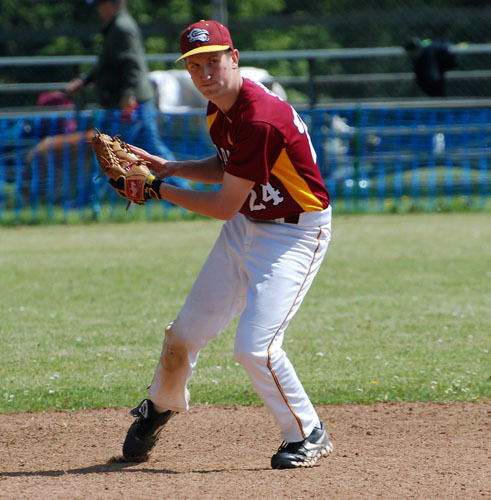 Doubles from Michael Prywara and Cameron Gittoes, soon had Bracknell back in the hunt, and despite Jimmy Shaw coming in, in relief of Patrick, Bracknell were able to pull to within a run. But it was not to be. 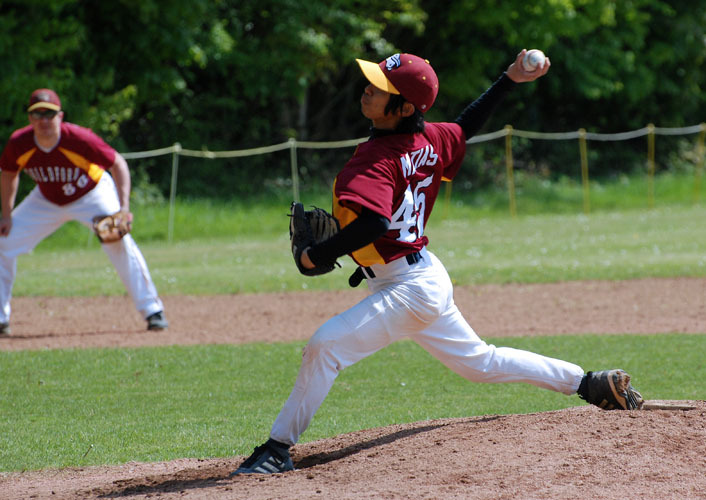 With runners at 2nd and 3rd, Shaw, struck out the final Inferno batter, as the Mavericks held on for a narrow victory. Game 2 saw Adam Huxley go up against Rob Wheeler. Bracknell were again on the board first, as they plated 5 runs in the top of the 1st, from a mixture of good hitting, and some Guildford miscues. But after that, the Mavericks settled down defensively, and began to chip away at the Inferno lead. 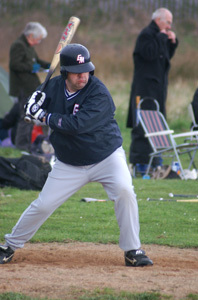 It was however mostly a one man show offensively for the Mavericks, as Jimmy Shaw drove in 2 of Guildford’s 6 runs, and scored two more himself on a 3-for-4 day at the plate. Huxley was proving difficult to get away, but the Mavericks not only managed to tie things up at 6, in the 4th inning, but took a 1 run lead in the bottom of the 6th, on a Chris Ward RBI. So an improbable sweep of the doubleheader was now beginning to look possible. However, the Inferno scored twice in the top of the 7th, the difference make being a double from Luke Hand, narrowly out of reach of RF, Chris Ward. With one run to make up in the their final at bat, the Mavericks went down in order, as Huxley and the Inferno, took a split of the doubleheader. Head Coach Michael Burdett commented: “We would have taken a split at the outset, but to be that close to taking both, was a bit disappointing. But then the breaks could so easily have gone either way, so we could just as easily have lost both, as win both. In end I think a game a piece was fair. We must also pass on our thanks to Daws Hill for helping us out, whilst we deal with our ground issues”.